Hi [INSERT YOUR FRIEND'S NAME HERE], Please check this out https://www.proactivehealthcare.co.uk/biocidin-lsf-50ml?referrer=0 and get £4 off your first order (minimum order £30 excl. shipping). Thanks! We are very excited to be able to offer Liposomal delivery of our broad-spectrum Biocidin? combination as specialized nutritional support. Physicians reports of reduction in pain and other symptoms in as little as 4-6 weeks of use have been very encouraging. Assists in delivery of broad-spectrum botanicals to the central nervous system, a key benefit as nutritional support in Lyme disease or other microbial challenges. Promotes intracellular absorption of ingredients. 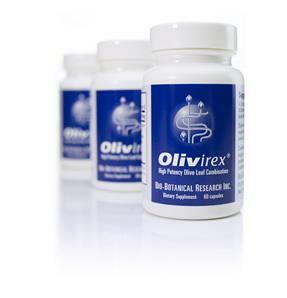 Enhances lymphatic circulation of therapeutic compounds. Assists in removal of biofilms. To decrease possibly die-off or detoxification reactions we always recommend concurrent usage of G.I. Detox with Biocidin? As with regular Biocidin?, begin slowly and gradually increasing per tolerance to avoid Herxheimer reactions. BEGINNING USAGE FOR SENSITIVE CLIENTS: Mix 1 pump with 5 oz of water. Each oz of mixture contains 1 drop of Biocidin?. Start with 1 tsp of diluted mixture the first dose, hold under the tongue for 30 seconds. If no strong reaction is felt, take another tsp in 3 hours, for a total of 3 tsp the first day. The following day repeat the same way, gradually increasing the amount of mixture taken per tolerance. Work up to using the entire 5 oz of mixture in one day. Very sensitive persons use 10 oz of water for a greater dilution. Swish with 2 pumps Biocidin LSF for 2 minutes after brushing the teeth, three times per day. In our dental study this protocol was continued for 4 weeks, with tremendous results. 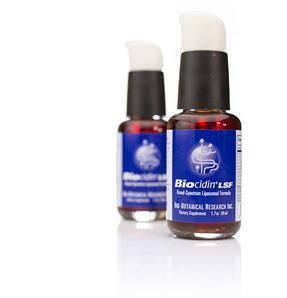 Use Dentalcidin, Biocidin Toothpaste or try oil pulling with Biocidin LSF, for ongoing maintenance. Other Ingredients: Vegetable Glycerin, Alcohol Less than 5% (potato and or cane source). Product contains no allergens such as milk, eggs, yeast, corn, soy or wheat. Free of any synthetic ingredients, colors, additives or excipients. No animal testing. 100% vegetarian/vegan formula. Certified Organic or wild-crafted sources used whenever possible. "Biocidin has been the most comprehensive natural combination that I've encountered. I have been very pleased with the consistent results using it for our patients, and we put every Lyme patient on it. The new Liposomal Biocidin is a welcome addition.